Continuing its excellent productions of C.S. 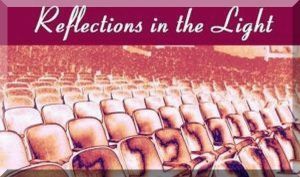 Lewis-themed works, Fellowship for Performing Arts brings the author to life with Daniel Gerroll's portrayal of the writer and Christian apologist in New York's first revival of William Nicholson's play Shadowlands. A film, with a screenplay by Nicholson, was released in 1993 starring Anthony Hopkins as Lewis and Debra Winger as his wife, Joy. It is based on Lewis's "A Grief Observed." Lewis is an academic at Oxford, shooting the breeze with his colleagues, and living at home with his brother, Major Warnie Lewis (John C. Vennema). His quiet existence is turned upside down, however, with the arrival of married Joy Davidman, a Jewish-American writer, former Communist and Christian convert. 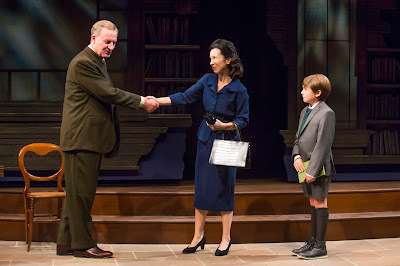 Joy is an admirer of Lewis's writing and after a long correspondence with the author, shows up for a face-to-face with her young son, Douglas in tow (Jack McCarthy and Jacob Morrell share the role). Warnie and Lewis's other friends are put off by Joy's blunt manner -- and the fact that she can hold her own, or even get the better of them in debate. What starts as a friendship between Joy and Lewis morphs to a marriage of convenience and blossoms into true love, but happiness is cut short when Joy is diagnosed with cancer. How does one cope with such pain after waiting so long for happiness? Among other insightful commentary, Lewis muses that perhaps God wants us loveable rather than happy. Suffering is how we release our hold on what is important in this world and realize that our value lies in the spiritual realm. The philosophical banter between Joy , Christopher Riley (Sean Gormley) and the others is amusing and tautly directed by Christa Scott-Reed. The humor blends with deep thoughts to create empathy for the characters as well as to force us to contemplate our own emotions. Joy's faith is inspirational. She tells her husband that the pain to come is part of the joy they are experiencing in the present. 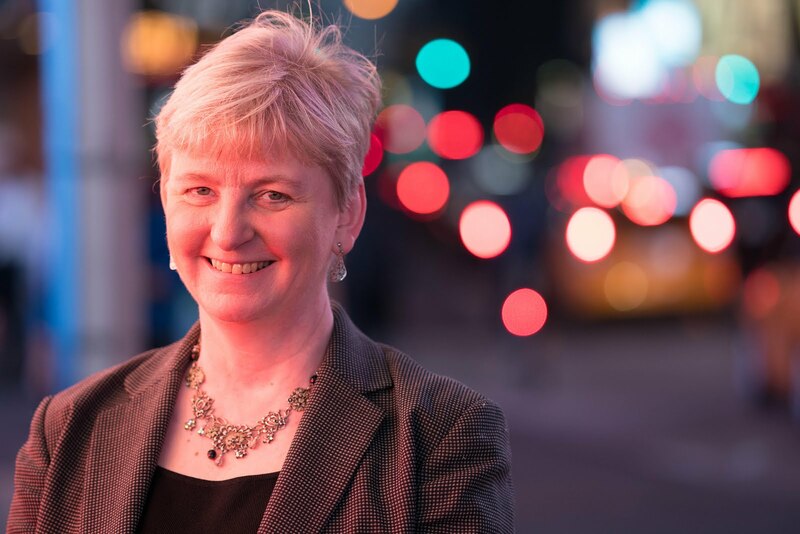 Lewis's faith following her death is an example to his colleagues. It’s this is kind of a sad story, though, so be prepared, even if Joy's physical pain doesn't play out as totally believable (it seems acted, especially if you ever have been with someone dying the horribly painful death she did). 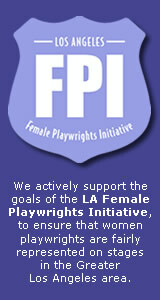 Additional cast: Dan Kremer, Daryll Heysham, Jacob H. Knoll, Robin Abramson, Stephanie Cozart. Additional credits: Scenic Design by Kelly James Tighe, Costume Design by Michael Bevins, Lighting Design by Aaron Spivey, Original Music and Sound design by John Gromada. 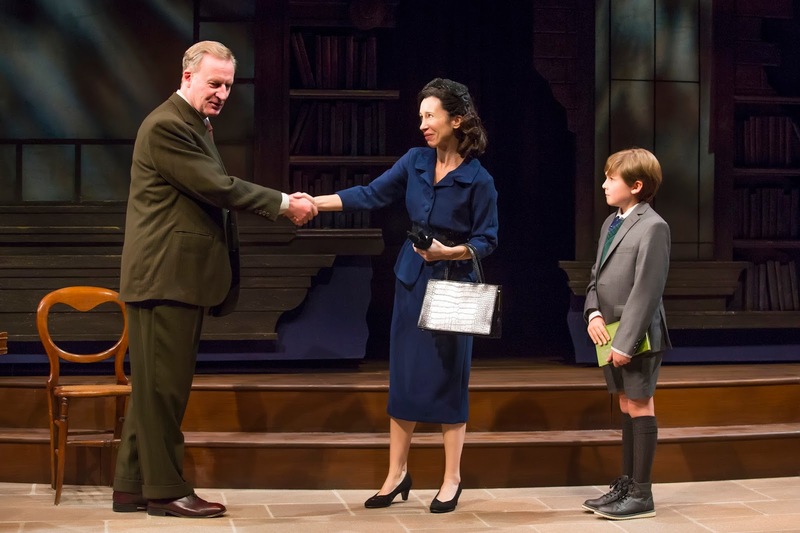 Shadowlands plays at the Acorn Theatre, 419 West 42nd St., NYC, through Jan. 7. Performances are Tuesday, Wednesday, Thursday at 7 pm; Friday and Saturday at 8 pm; Wednesday and Saturday at 2 pm; Sunday at 3 pm. Note: no performances on Thursday, Nov. 23; Sunday, Dec. 24; or Sunday, Dec. 31. There will be an additional 2 p.m. matinee on Friday, Dec. 29.Tickets are $75-$95: FPAtheatre.com; 212-239-6200. 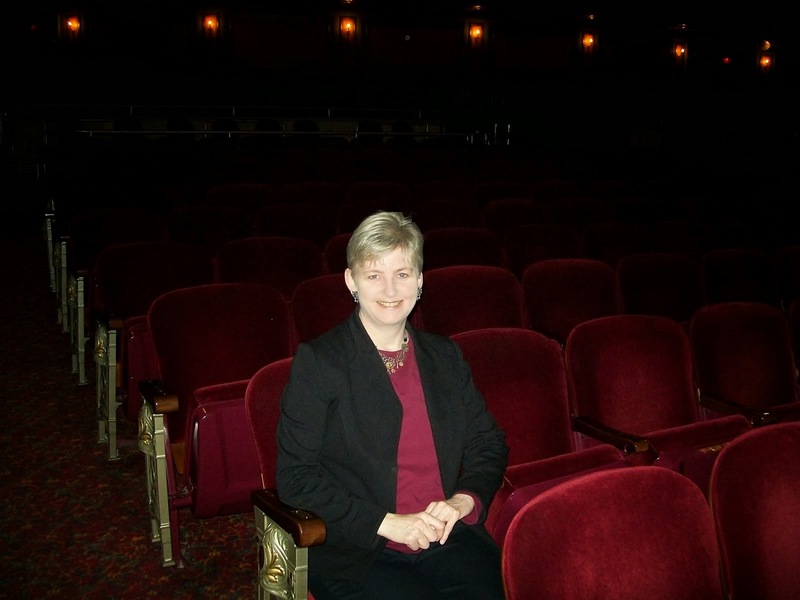 Founded by Max McLean, New York City-based Fellowship for Performing Arts (FPA) produces theatre from a Christian worldview created to engage diverse audiences. In its first two seasons in New York it produced The Great Divorce, The Screwtape Letters, Martin Luther on Trial and C.S. Lewis Onstage: The Most Reluctant Convert, Check the website for a list of productions in other locations around the US.